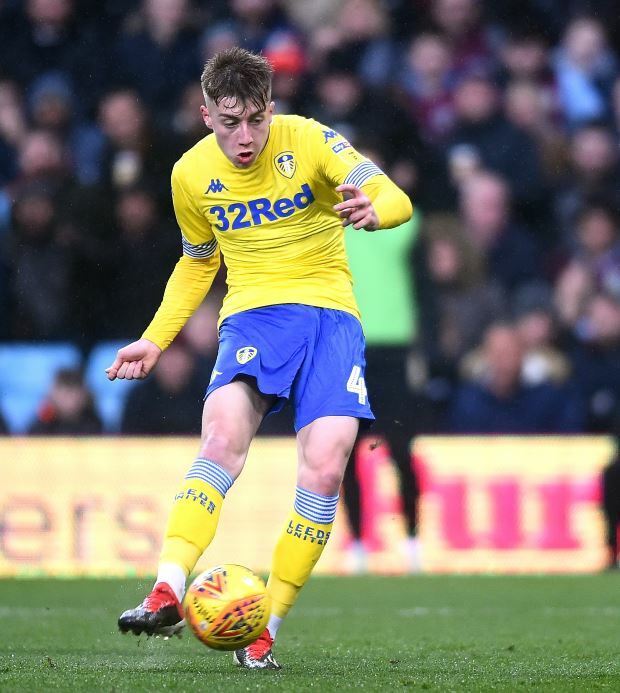 Ian Harte has revealed that Leeds United attacker Jack Clarke has now left hospital in Middlesbrough and is happy and smiling. The Leeds talent was brought off at half time in the Whites' 1-1 draw at the Riverside Stadium with Middlesbrough on Saturday. Clarke was replaced for tactical reasons, but began to feel ill during the second half, which he watched from the bench, and was eventually given oxygen by paramedics and taken to hospital. There were worries for the youngster, but his agent Harte insists that Clarke has now left the hospital; he also hailed Leeds' head of medicine Rob Price. Harte wrote on Twitter: "Big thanks to Boro medical team and a special mention to Leeds' Rob Price for today! "Jack has left the hospital now happy and smiling. Hopefully back on the pitch very soon. "And also a big thanks to everyone involved with James Cook hospital the staff have been brilliant!!!" It is still unclear what Clarke suffered from during the game at the Riverside Stadium, but Leeds will be looking to take care of him over the coming days as they assess what the next steps should be for him in his recovery.